Mark Stenmark battles his way to another victory in 2018! The past weekend was filled with so much great Golden Tee, it is very hard to sit in the Houston airport and try to process it all! Jake's Sports Bar in Houston, TX was filled to the brim with Golden Tee players, their friends and some family too! 115 total players registered and played in the Saturday and Sunday main event contests! As we mentioned in our previous article, Paul Luna and Mark Stenmark qualified with -148 for the number 1 and 2 spots, respectively. Unfortunately for Paul Luna, he wasn't able to have quite the showing as Stenmark would in the main event, as he won his first match, but lost to George Von K to be sent to the loser's side of the bracket. He would go on to finish in the 9-12 spot after losing a match to Will Sandstad. George Von K would go on to make one of his best tournament runs to date, though. He also made his way through Matt Kavanaugh and Chad Hart before he would be sent to the loser's side of the bracket by Andy Haas. After beating Will Sandstad on the loser's side of the bracket, GVK would lose to Paul Tayloe (the NIV 16 winner in October) to end up in fourth place. Andy Haas battled his way through the winner's side of the bracket to face off against a familiar foe, Mark Stenmark. Haas and Stenmark battled on Pembroke Links with Stenmark coming out victorious and taking reigns as the King of the Hill for the tournament. This means that Stenmark would have to be beaten twice in the finals, to lose and take second place. Paul Tayloe would take down Todd Boyer, Dan Gillard and Marc Muklewicz before losing to Mark Stenmark on his path to KOTH. Once on the loser's side of the bracket, Tayloe would take down Tony Johnson and GVK before losing to Andy Haas. Haas took down Tayloe after 29 holes of amazing golf on Beals Creek with this sick Hole-in-One on the Par 4 Hole 11. Tayloe ended up in 3rd place with his solid weekend of tournament golf. The ace to blow the roof off the place! After a victory that had the entire bar losing their minds (including yours truly on the LIVE stream; sorry for the language Mom), Haas stood toe-to-toe again the man that he lost to; King of the Hill Mark Stenmark. Haas would take down Stenmark on Pembroke Links after a few mistakes. So, it came down to one final match between these two greats; this time on Catedrais Beach. In what had to be the heartbreaking moment of the weekend, Haas lost on the 15th hole of sudden-death when he barely missed an eagle putt to the right. It was one heck of a match and nobody in the room, Stenmark included, wanted it to end like that. Stenmark made sure to claim the title named after his hometown, which he just recently moved back to. He made sure that everyone knew that Houston was still his show! Congratulations to Mark Stenmark on his solid victory in the 6th PEGT tournament event! 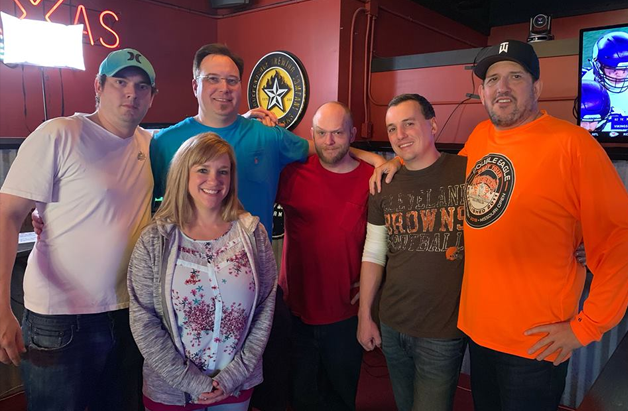 Thank you to the entire staff at Jake's, including both the new owner and the previous one, for all of their hard work to help make this first event run so smoothly. 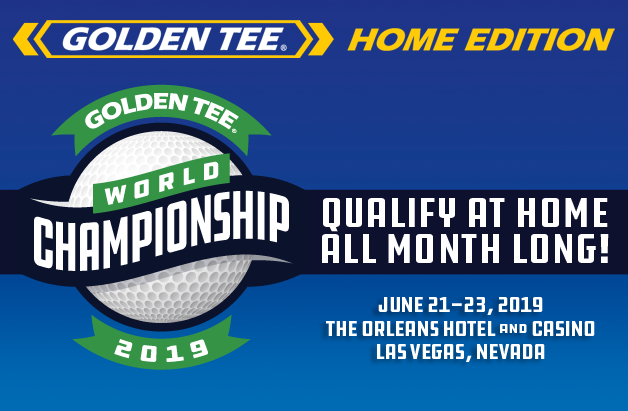 The Power Events' Golden Tee Tour starts back up with the 2019 Orlando Open down in sunny Florida. The dates are Feb 7-10, 2019. This is the weekend after the Super Bowl.